During the cold months in the Washington, DC, area, heat is about the most precious thing there is. That’s why Vito Services employs the most qualified technicians to service your home. Offering heating installation service, heating repair service and more, we are your go-to experts for all things heat-related. No matter when a problem occurs, our operators are available 24/7 to assist you in Alexandria, VA, and surrounding areas. There’s nothing cold about our heating services. We’re always here when you need us! Furnaces have always done a good job of keeping homes warm. But when you compare today’s systems to those from years ago, the difference in efficiency is astronomical. If your older heating system is wasting energy, consider what new equipment can do for your long-term finances. From Montgomery County, MD, to Prince George’s County, MD, and beyond, customers across the tri-state area are cozying up to quieter, more dependable furnaces with our heating installation service. Energy efficiency is the furthest thing from a buzzword. It’s real money back in your wallet! Learn more about our furnace services. If your older home has a boiler, we can help you get the most out of your system. Modern-day equipment is far more efficient than those made just years ago. Whether yours needs to be repaired or replaced, our experts will evaluate the situation and help you make a decision you can trust. For a team that’s been around since 1934, you could say boilers are second nature to us. So, if you’re looking for the most experienced team to service your Washington, DC, area home, you’ve come to the right place! Learn more about our boiler services. Why Choose Vito for Heating Services? Whether you live in Montgomery County, MD (Rockville, MD), or Prince George’s County, MD, we’ll help you meet your definition of ultimate comfort. And with a free estimate, you have absolutely nothing to lose by giving us a call! Reliable heat can affect your safety just as much as your comfort. At Vito Services, this is a responsibility we never take lightly. Through every situation and every hour, we’re here to remain the heating experts you can always count on. 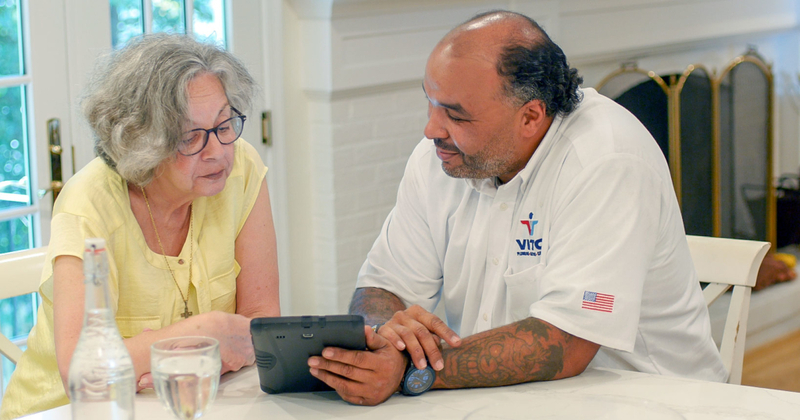 To schedule heating installation, heating repair service or maintenance service for your home, call your local Vito Services office or contact us online today.